Become part of our CNY Doula Connection team! We are always looking for people interested in joining our group. 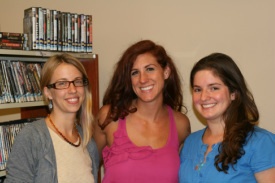 We welcome independent doulas who attend births in or near Central New York to join our group. The CNY Doula Connection is a referral-based group, owned and operated by Christine Herrera & Company LLC. While certification is not required to be affiliated with the CNY Doula Connection, the successful completion of training through a recognized certifying agency is required for all providers. A mentorship program is available to newly trained doulas to help you become a confident, experienced doula.